As the team peaks early with one of the best action/effects sequence in the show’s history. After DeVoe gains entry to an ARGUS black site by posing as John Diggle (I understood everything about this except how he knows the counter-password to “Elvis Banana” is “Hendrix Spaghetti”), director Viet Nguyen treats us to the CW-verse version of one of those Netflix/Marvel hallway fights. DeVoe calls upon his full array of powers to fight off the ARGUS forces, from shrinkage to elasticity to breaching to shooting rays from his hands. It’s a symphony of super-villainy, and easily the highlight of this Big Bad’s run on the show, as it serves as a thrilling demonstration of just what Barry and the gang are up against. The main objective this week is to prevent DeVoe from harnessing Fallout’s nuclear power to launch his satellites and bring about the Enlightenment while also saving the half-dozen ARGUS guards suspended above the facility’s deadly electrical plates. The only way to accomplish this task is for Barry to pull Caitlin and Cisco into the Speed Force with him (Remember how there used to be a surplus of speedsters on this show? They’d all come in handy now, huh? ), which leads to a lot of Barry angst about not wanting to put his friends in danger. That ship sailed seasons ago, buddy! The strangest part of all this is that Cisco and Caitlin are able to convince him they can pull it off with a little more training, after which point there is…no more training. They head directly to the A.R.G.U.S. site to do it for real. I guess it’s the thought that counts? The episode kicked off in a familiar setting: Dr. Sharon Finkel’s office. During her session, Caitlin attempted to explain her situation without outing herself as Killer Frost. As she spoke to Dr. Finkel, she referred simply to her “lost friend,” who recently disappeared from her life. However, Dr. Finkel changed the topic and brought up the idea of repressed memories, suggesting that Caitlin was repressing some traumatic childhood memory. Caitlin laughed her off and explained that this friend had only appeared recently, when she was an adult. 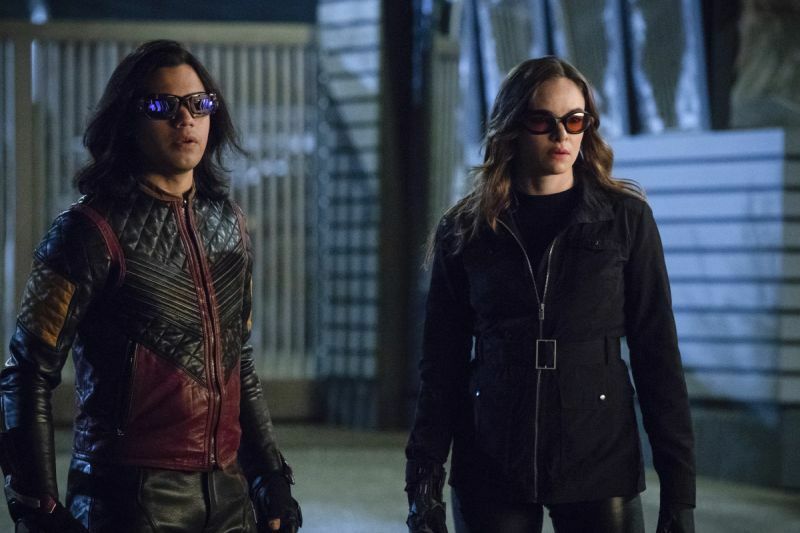 Nevertheless, Caitlin got a flash of a memory as she and Cisco trained with Barry to capitalize on his ability to bring other people into his Speed Force aura. When she got knocked out of super speed, she got a glimpse of a long-forgotten memory, where she fell off her bike and was almost run over by a truck as a man screamed her name. This continued to bother her for the remainder of the episode, up until one of the very last scenes. As Caitlin and Cisco helped Clifford DeVoe’s hostages out of the ARGUS facility, she asked him to vibe this memory. After some initial hesitation, he acquiesced. In the full memory, Caitlin saw the near-accident again, but this time there was a twist: she caught a glimpse of herself in the truck’s side-view mirror and saw Killer Frost’s face peering back. At the sight of Killer Frost’s visage, young Caitlin screamed and the memory ended. The fact that Killer Frost — or some version of her — has existed since Caitlin’s childhood has major implications. 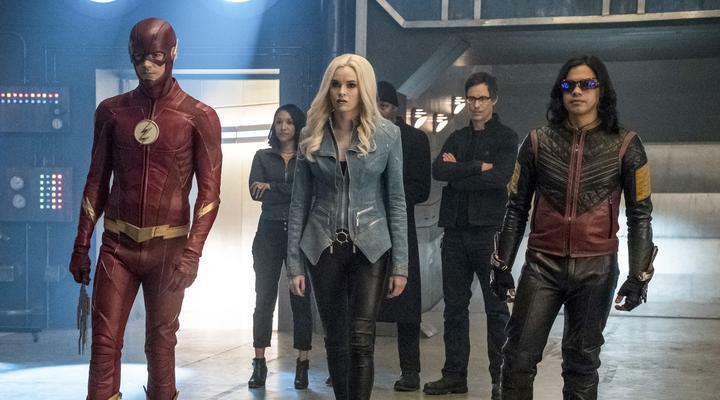 For one, Killer Frost came to be long before the particle accelerator explosion; this means metahumans may have existed in the Arrowverse before The Flash‘s game-changing premiere episode. Since the repressed memory seems to do with her father, this could indicate we will learn more about this mysterious figure, who has only been mentioned on the series so far. It wouldn’t be surprising, then, if he has something to do with the creation (or perhaps suppression) of Killer Frost. However, we’ll probably have to wait until Season 5 to learn more about Killer Frost’s true past.